Pour milk into 1-qt. glass measuring cup. Add enough ice to measure 3 cups. Pour into blender. Add frozen whipped topping, dry pudding mix and coffee granules. Pour into four glasses. Serve immediately. 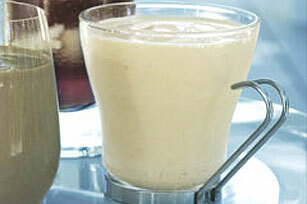 Try our Healthy Living version of Cool ‘n Creamy Coffee Freeze. Made with fat-free milk, COOL WHIP LITE Whipped Topping and JELL-O Sugar Free Fat Free Instant Pudding, it saves 80 calories and 2 grams of fat per serving.